That’s right Spring is here so we finally get to put away those primy coats and chunky boots and break out something softer. So to celebrate the coming of spring here’s a simple but cute outfit perfect for any run through the flowers. A look inspired after watching the movie Almost Famous, which happens to be one of my all time favorite movies. Enjoy! KMADD is a beginner-friendly destination which offers wide range of quality appearance-based products for both male and female avatars. 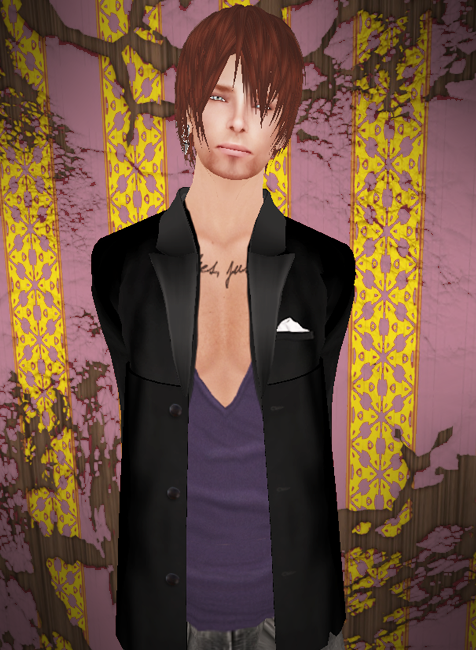 Specializing in short men's hair, unisex hawk styles and fine couture hair for women, MADesigns' complete avatars, shapes, skins and eyes will give you an individual look you need to start your journey though Second Life in style. Winner of the Glance Fashion Awards in 2011 for Best Shapes store in Second Life, MADesigns offers a wide selection of shape and skin packages to suit everyone's budget. You'll find complete avatars and shapes for both males and females as well as hair, eyes and poses. Embark on your adventure in Second Life with style and confidence with this award-winning shape store. 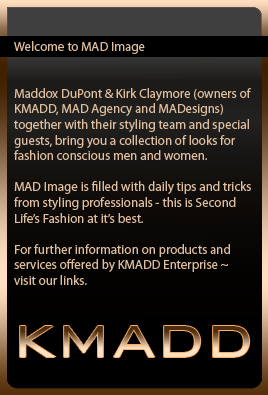 If you are looking for a gift or prefer to shop on-line visit MADesigns on Second Life Marketplace. Due to the nature of our products make sure you enable mature content. LIKE us on FACEBOOK & Win!